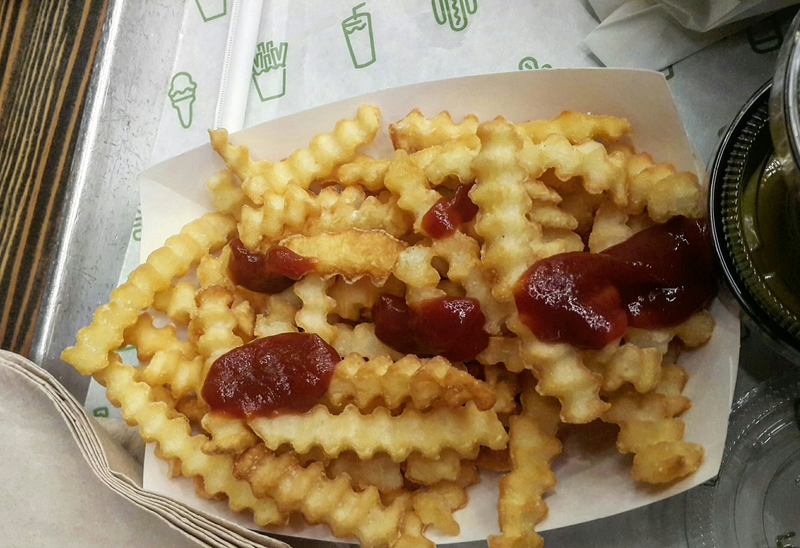 Shake Shack is a famous chain of burger distinguished for its organic ingredients and pickle taste. In Yas Mall,abudhabi, its located adjacent to the food court and is always rushed with the people. 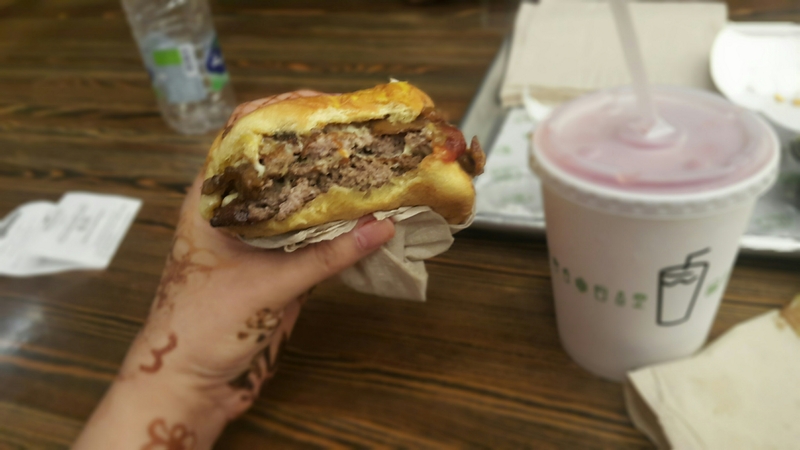 The rush is not for the food court only but also for the shake burger .It is always a popular place with foodies and families including My family that loves the BBQ Shake burgers . you come in the Que for order and wait for your turn with the latest menu in your hands.You must decide what you want before going to the counter :look around at the menu engrossed on the side wall and choose your flavours, spice ,drinks, with lettuce , extra cheese or extra salad.keep in mind every adds on charges. 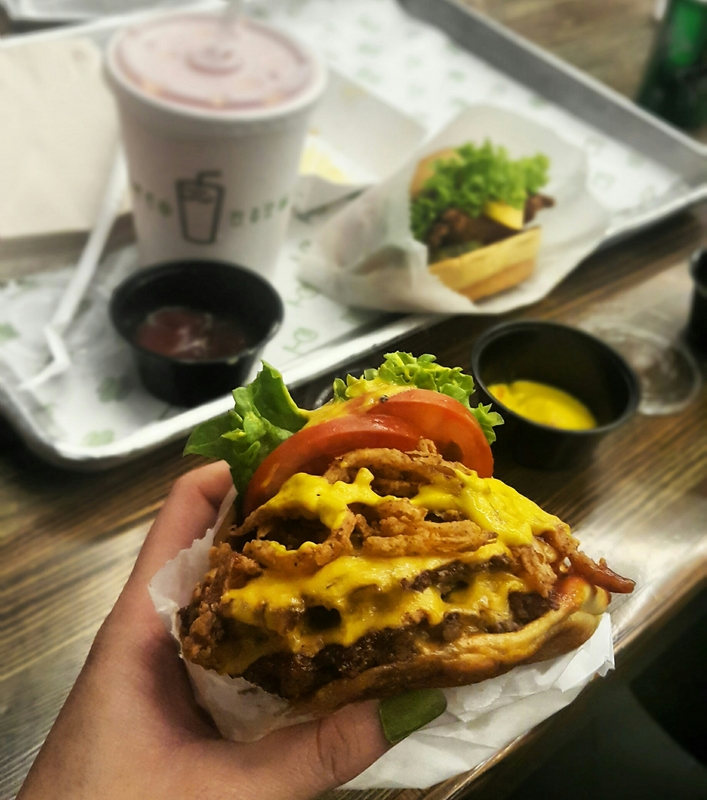 The famous Shake burgers are in two sizes. First is single patty and other is double. Single is good for kids or dieters and double is enough for someone needs a meal. Don’t forget they do not offer meal or combo option,.you have to spend separately for a yummy fries or for the most delicious fries with cheese.A fountain drink or lemonade needs another fortune.my personal favourite burger is BBQ beef shake .It is their signature one. 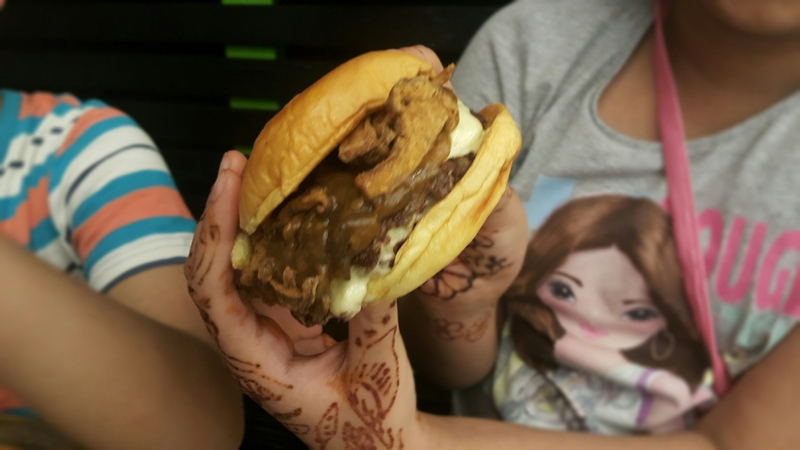 The BBQ beef patty is juicy ,tangy with particular divine taste of pickles. It’s crunch, soft and gives you an unmistakable delish taste.I still can feel the flavour in my mouth. you can spend a few more pennies for the crunchy onion shackles or some extra tomatoes. 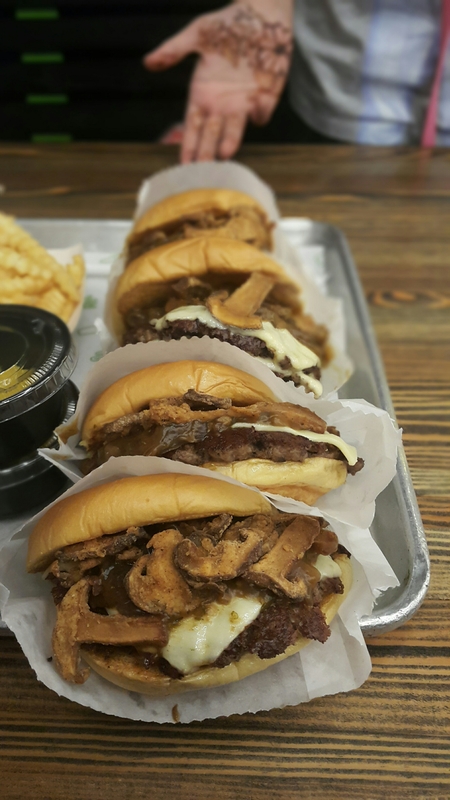 The pickle taste makes this food chain different to other Burger stations and their particular claim for everything organic and produced on their personal farms is really appealing. It might be the reason behind the high price. It’s triple in price than MacDonald and KFC and for a full meal including fountain drink, mouthwatering fries and a dessert you must bring a lot of money along.. The shake burgers are mouthwatering and for me, after tasting them i simply say adieou to MacDonald ,KFC or even Max burger that has been one of our favourite for its grill options.Shakeshack claims for everything organic but don’t claim for weight loss products.So no doubt it is a fast food restaurant . it needs a little control of your consumption .A glass of lemon mint lemonade might be a help to digest it easily but still, A regular dose can boost your weight so you need to have it once in a while to have health, shape and taste.